Successful conflict management is hard to find anywhere these days – and often least so in Central Africa. It is all the more important then to look at recent developments in the Democratic Republic of the Congo (DRC) and acknowledge that domestic opposition, coupled with regional and international pressures, successfully steered President Joseph Kabila away from seeking a third presidential mandate. 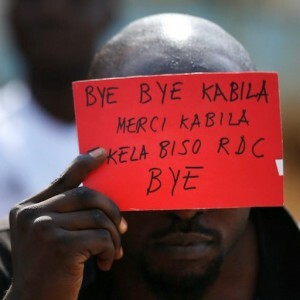 Since 2015, pressure has been building in the DRC, much of it centred on the long-delayed elections and whether or not Kabila would find a way to stand for a third term. Several avenues were reportedly explored, galvanising substantial popular resistance. The recent wave of large-scale protests started in January 2015 in opposition to a draft electoral law which proposed that a national census be held before elections. Congolese saw this as an attempt to delay the polls and took to the streets of Kinshasa. The law was amended and passed without the census clause, but trust in the Kabila government was never restored. In the intervening years, popular pressure has been maintained. It has been channelled at different times by opposition political parties, new civil society organisations and the powerful Catholic Church. But at the heart of the activism is that in order for the country to progress, Kabila must leave office and free and fair elections must take place. But popular pressure alone wasn’t enough. The Kabila government turned a blind eye to its people, rebuffed diplomatic overtures and then harsher public criticisms from the western players, wrapped itself in nonsensical rhetoric and opened fire, literally, on its population. The region has noted the instability this has caused, and the fact that the Congolese government’s security-driven response, which has claimed 300 lives, has cost it credibility and legitimacy and undermined its ability to maintain effective control over its territory. No neighbour wants a country the size of Western Europe – only marginally governed by Kinshasa at the best of times – to descend into greater chaos. Fears of contagion, increased refugee flows and loss of influence in Kinshasa have driven the pressure Kabila has increasingly felt from the region. Angola, which shares a 2 600 km border with the DRC, is only one of the DRC’s nine neighbours, but it is a crucial one, and it has taken the lead in pressuring Kabila to leave. South Africa’s role became more constructive in 2018 after then president Jacob Zuma’s personal interest-driven support to Kabila was replaced by a more regionally-aligned approach under President Cyril Ramaphosa. The end of Robert Mugabe’s regime in Zimbabwe also meant the loss of another of Kabila’s long-standing allies in the Southern African Development Community (SADC). Now the question is, how much further will these key countries be engaged? And how coordinated is the regional response? Is it taking place under a SADC umbrella, or are the main countries acting alone? If so, why? Although behind the scenes SADC recognises the importance of credible DRC elections, it has failed to take a leadership role in the crisis. The response to the DRC situation also raises other important questions about how replicable this approach can be. The scenario in Burundi is not dissimilar – there instability has been driven by the president’s decision to seek a third term, prompting large-scale and unprecedented popular protests. Burundi is in its fourth year of an acute political crisis which no one, including the African Union, United Nations and East African Community, has been able to resolve. The crisis has had an arguably more detrimental impact on its neighbours than the one in the DRC. Over 325 000 people have fled Burundi to refugee camps in neighbouring countries. Burundi is also facing economic and humanitarian crises. The opposition and civil society are in exile, and human rights are persistently violated. But the situation hasn’t prompted enough regional pressure to prevent the government from pushing through a constitutional referendum that will damage the country’s stability. Is the difference in approach due to the sheer size of the DRC and the chaos that instability there could entail? Or does it have to do with the deciding leadership role played by one significant player with existential interests, in this case Angola? One thing we can probably count on is the Congolese maintaining pressure for credible elections. Kabila standing back is not enough to convince the electorate that the elections will be free and fair. To stabilise the DRC, regional attention must not be distracted. If Angola and South Africa want stability in the DRC, they must keep pressure on the government to make significant changes to the electoral process immediately. A key outstanding issue is the publication of the voters roll, which the Independent National Electoral Commission said it would do by 10 July. Then there’s the question of the electronic voting machine in an environment already full of distrust. Introducing complicated new technology has only heightened fears that the results will be rigged. Also, none of the measures to open the political space that the government committed to in the 31 December 2016 accord have been implemented. There are crucial moments ahead in the weeks to come – notably the validation of the presidential candidacies. If the electoral commission disqualifies returned opposition leader Jean-Pierre Bemba on spurious grounds, the credibility of the process will be shot. There is still much to be done for the efforts of the Congolese population and the region not to be in vain.